Voted Best of Santa Fe 1st Place Winner 17 years in a row! Quality Custom Picture Framing, Where Quality Makes the Difference! Serving Santa Fe's Leading Artists, Galleries & Collectors Since 1973! Thank you, Santa Fe for Voting us 1st Place in our category for 17 years in a row! Serving Santa Fe's Leading Artists, Galleries, and Collectors Since 1973! 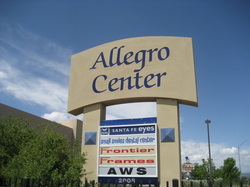 Let Frontier Frames showcase your work with custom frames.